If there’s one thing that is evident about Jen True, it’s that she has a definite growth mindset. “After 15 years as a local residential sales agent, I decided to open a boutique real estate brokerage called True Real Estate. After just 2.5 years in operation we have satellite offices in Henderson, Lake Crystal, and Saint Peter,” she says. When the opportunity arose to add commercial to her portfolio of business, she was intrigued. And in January 2018, almost two years to the day after she created True Real Estate, True Commercial was born. 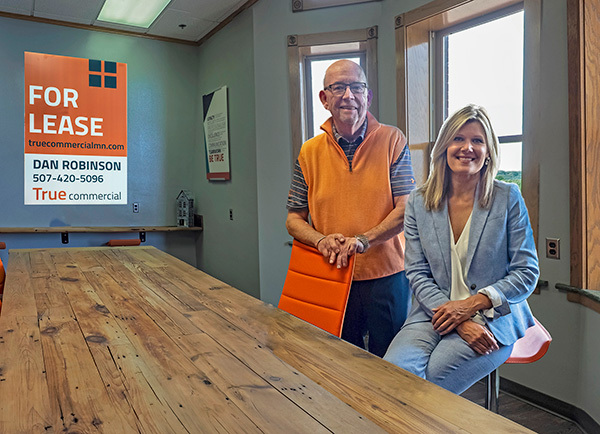 True Commercial offers sales, leasing and property management services throughout southern Minnesota with a focus on the Mankato, North Mankato and Saint Peter areas.